With the holidays fast approaching, I wanted to share a few snapshots of a place that really makes the seasonal-spirit come alive… Colmar – in the Alsace region of France. Now it’s no secret how much we enjoy living in the south of France, but when it comes to holiday magic, nothing tops a visit to Alsace at Christmastime. I’d seen many photos of the Colmar market before our trip last year, and as a self-proclaimed Christmas “crazy”, I really wondered if it would live up to my expectations. My mind was full of the gingerbread stands, vin chaud (hot wine), candy, cookies, cakes, and Christmas “bûches” I might find. Not to mention the sparkly ornaments and assorted shiny things that promised to find their way into my home. Well, the Colmar Christmas market was all that and more. The term “market” must really be used in the broadest sense, as the whole town is really taken over by the season. No less than five separate markets wind through those charming, cobblestoned streets. Maps are posted around the city to help guide you from one fairytale-like setting to the next. The day of our trip, I felt like a kid visiting Disneyland for the first time. Every corner was a new discovery and I joined the other happy tourists in their cries of Ohhs and Ahhhs as we took it all in. Entire homes transformed by hanging garland and smiling Santas… nativity scenes perched above bakeries and pharmacies… a gift shop decorated solely with hanging teddy bears – their chubby limbs dangling over the archways and attracting all sorts of squealing kiddies. Then of course there were the Christmas carolers filling the streets with music, the market with a living Nativity scene which featured real animals (I’m a sucker for those furry bunnies), and windows full of the Alsatian treats. Halfway through the day we took a break for a well-earned choucroute (cooked cabbage, potatoes and an assortment of sausages) and then dove into an afternoon of shopping and hot-wine sipping. By the time they turned on the Christmas lights, it was time to hop in the car for our 2-hour ride back to my husband’s hometown in Lorraine. 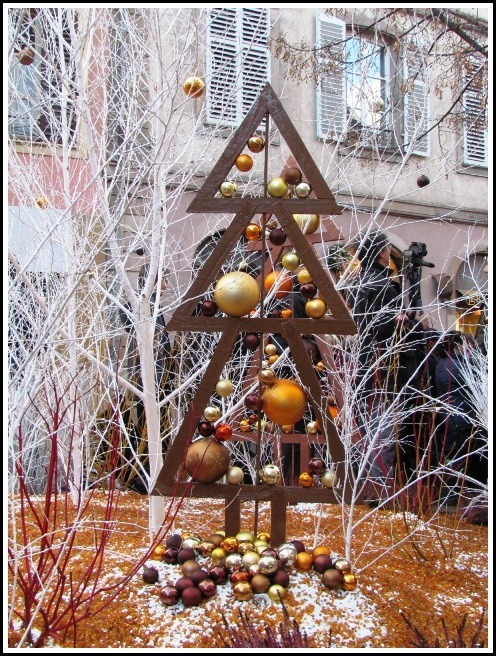 Exhausted, a little tipsy, and brimming with holiday spirit, that day in Colmar is one of my best-ever Christmas memories. Many thanks Krista, glad you enjoyed the photos! Magical place. Thanks for sharing your beautiful pictures and memories. Lived in Strasbourg as a kid and weeny by Colmar frequently but don’t recall going to see the market. Looks like we missed something very special. Hi Michel, I heard the Strasbourg market is just amazing… another one that’s high on out to-visit list. Happy holidays to you! Thank you so much for sharing! 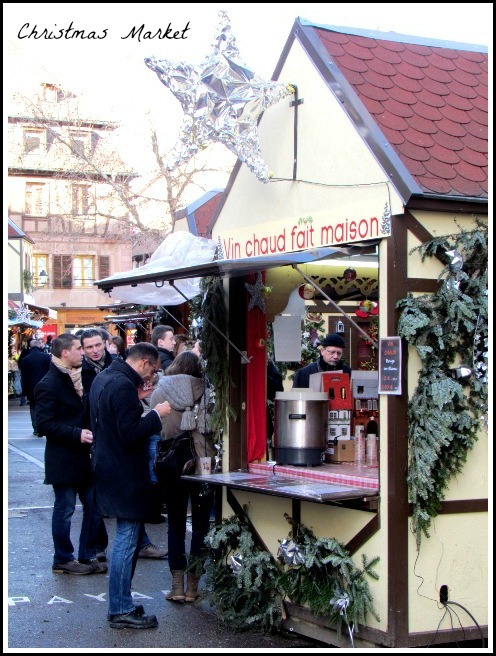 I have never been to the Colmar Christmas market before, I only know the one at Strasbourg, which I absolutely love! But I am now sure that the Colmar market is also worth a visit. We will surely go there next year! Thanks for your comment Monika, I just read an article today and the Strasbourg market was ranked among the top 10 in Europe… I believe it! I’ve been to the Christmas market in Strasbourg, but it looks like Colmar may have more charm. I hope to get there some day. Joyeux Noël! Joyeux Noël to you Gayla, thanks for your comment… & Colmar is definitely full of charm, like a fairytale, hope you can visit soon!